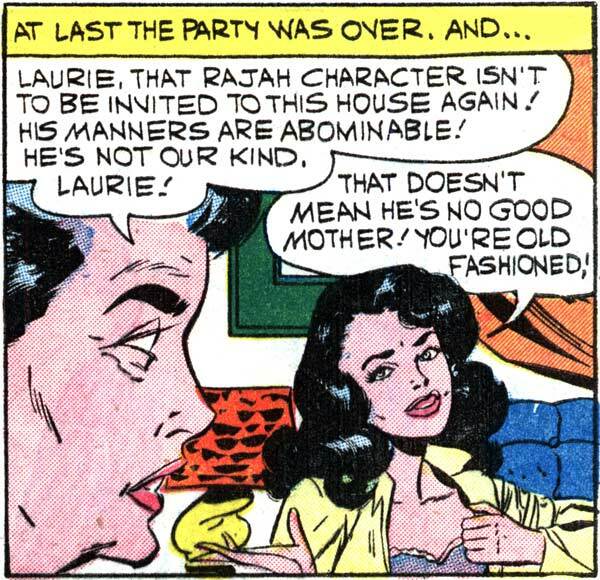 Art by Vince Colletta Studio from the story “Playin’ It Cool” in FIRST KISS #12, 1960. WOMAN: Gay isn’t a choice…But happy is! WOMAN: Gay isn’t a choice...But happy is! You mean the multi-millionaire Indian prince? I know he wiped his mouth with the tail end of your skirt at the dinner table, but that’s normal where he comes from.